Riding the Waikato Explorer to events at Mystery Creek Events Centre certainly beats sitting in long traffic queues and the long walk back to the car at the end of the day with bags of bargains and samples. PLEASE NOTE THAT RETURN TRIPS MUST BE PURCHASED SEPARATELY. Enjoy a cup of coffee, hot breakfast and a catch up on the latest news on the journey upstream to Mystery Creek Events Centre and something cold from the fridge on the return journey. 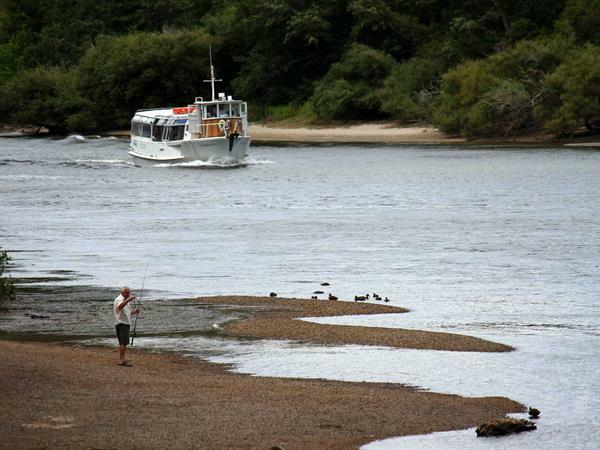 Our Mystery Creek Ferry service operates up to 10 sailings each day to events at Mystery Creek Events Centre.